Promotional campaigns for six European films – including two Irish co-productions - are being boosted with Films Sales Support (FSS) from European Film Promotion (EFP) at this year’s Sundance Film Festival (January 21 – 31, 2016). Dedicated to the discovery of new independent cinema from around the world and as gateway to the North American market, the Sundance Film Festival is one of the important festivals in the US. €25,000 towards sales companies’ campaigns has been earmarked by EFP in total to facilitate sales of European films to North America and to strengthen networking with buyers at the festival. FSS is backed by the Creative Europe - MEDIA Programme of the European Union. 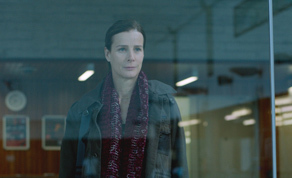 ‘Mammal’ is represented in Sundance by Germany’s sales company Picture Tree International while ‘The Land of the Enlightened’ is represented by German sales company Films Boutique. ‘Mammal’ which co-stars Michael McElhatton (‘Game of Thrones’) and Johnny Ward (‘Love/Hate’) is the story of a woman (Griffiths) who has lost her son and develops an unorthodox relationship with a homeless youth (Keoghan). Their tentative trust is threatened by his involvement with a violent gang and the escalation of her ex-husband's (McElhatton) grieving rage.